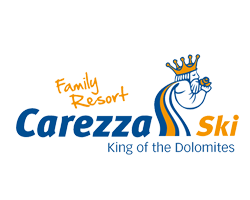 If you would like to spend an active holiday in the Dolomites, there are numerous offers and possibilities in and around Tiers to make this varied. In the summer holiday you can discover the untouched nature on one of the numerous hiking trails, cross forests or dare an alpine adventure in the steep rock walls of the Dolomites. 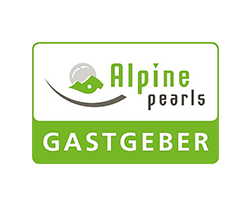 Hikers preferring an easy route go from Tiers to the Plafötschalm in the Tiers valley, while experienced mountain walkers choose the long and demanding route to the Grasleitenhütte or the Hammerwand. Climbers will also get their money’s worth on their adventure holiday: climbing routes to the Kesselkogel, to the Rotwand or to the Santner Pass also offer experienced climbers the desired adrenalin click. Beginners try their first time at the Carezza Lake climbing garden – Kluan Roatwandl at the foot of the Rosengarten. 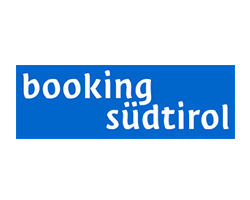 In cooperation with the Rosengarten Alpine School, we offer climbing courses for beginners and advanced as well as a climbing week with excursions to the Vajolet towers. 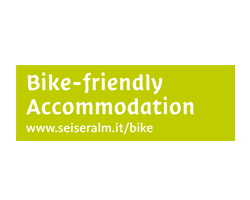 If you would like to go cycling during a summer holiday in South Tyrol, you also have more than one opportunity. A popular mountain bike route takes you to the Wuhnleger above Tiers. This short itinerary is ideal for getting started and also boasts a magnificent view of the surrounding mountains. In everyday life, we are so caught up in our hamster wheel that sometimes we forget to actively make new experiences. An active holiday in the Dolomites is the best opportunity to break out of the everyday life and venture an adventure. How about a flight over the Dolomites? When you paraglide, you can enjoy the view of mountains and valleys from the bird’s eye view. Due to the stable weather conditions and the excellent thermal conditions, the Schlern-Rosengarten area is ideal for paragliding. For a tandem flight with a certified flight instructor, you do not need any prior knowledge: the instructor provides the right equipment, instructs you and takes the steering. This way you will be able to make the dream of flying come true! Paragliding providers can be found in Völs am Schlern and Kastelruth. If you do not want to be so adventurous and prefer more cultured sports, you can also play golf and tennis during your summer holiday in Tiers in South Tyrol. From May to November, you can work at your handicap at the Carezza Lake Golfclub and the Kastelruth / Seiser Alm Golf Club. There is a tennis court in Weisslahnbad in the municipality of Tiers. At 1170 m above sea level, you can improve your forehand and backhand and enjoy the view of the Rosengarten. The Hotel Vajolet in Tiers am Rosengarten is located in the heart of the Dolomites. This mountain chain of the southern Limestone Alps, which is also assigned to the Southern Alps, is located in the regions of Trentino-Alto Adige and Veneto. With 3342 m, the Marmolada is the highest mountain of the Dolomites. 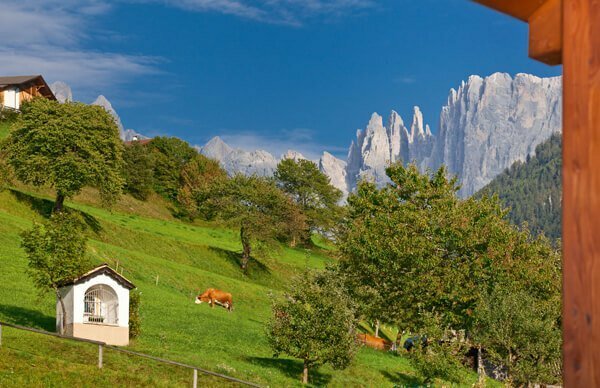 So if you want to spend a relaxing holiday in the countryside, where you can discover a variety of flora and fauna and landscape contrasts, a stay in the UNESCO World Heritage Site of the Dolomites is the right choice! 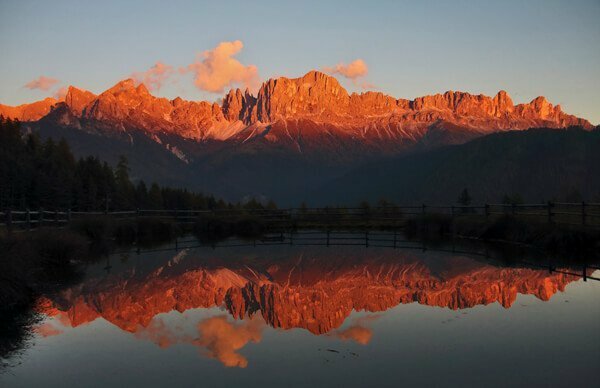 The Rosengarten is one of the most famous massifs of the Dolomites. Situated between the Tiers and the Fassa valley, the Rosengarten stretches over 8 km from the Schlern area to the Karer Pass. Among the most important peaks are the Vajolet peak (2749 m) and the Vajolet towers, after which we named our hotel. Other important peaks are the Kesselkogel (3004 m), the Rosengarten peak (2981 m), the Teufelwand (2727 m), the Rotwand (2806 m) and the Laurinswand (2813 m). The mountain massif of the legend owes its name to the dwarf King Laurin, more precisely to his mysterious garden high up on the mountain. Always in the evening when the sun shines its rays obliquely on the mountain massif, the garden glows red and becomes visible to the people. 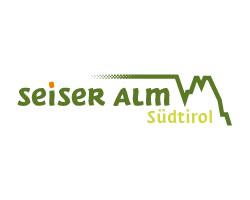 In Tiers am Rosengarten there is a very special offer for all those who want to learn more about the Dolomites in a nature holiday in South Tyrol and to experience it on a hike. The local tourism association organizes a mountain hike with subsequent discussion with Reinhold Messner. On your hike through the UNESCO World Natural Heritage, the extreme mountain climber will tell you about his passion, numerous tours and the peculiarities of the Dolomites.